Ready to explore the galaxy and beyond? This game will provide hours of family fun. Play with up to 18 others. Develop social skills, spatial reasoning, memory, STEM interest and analytical logic. 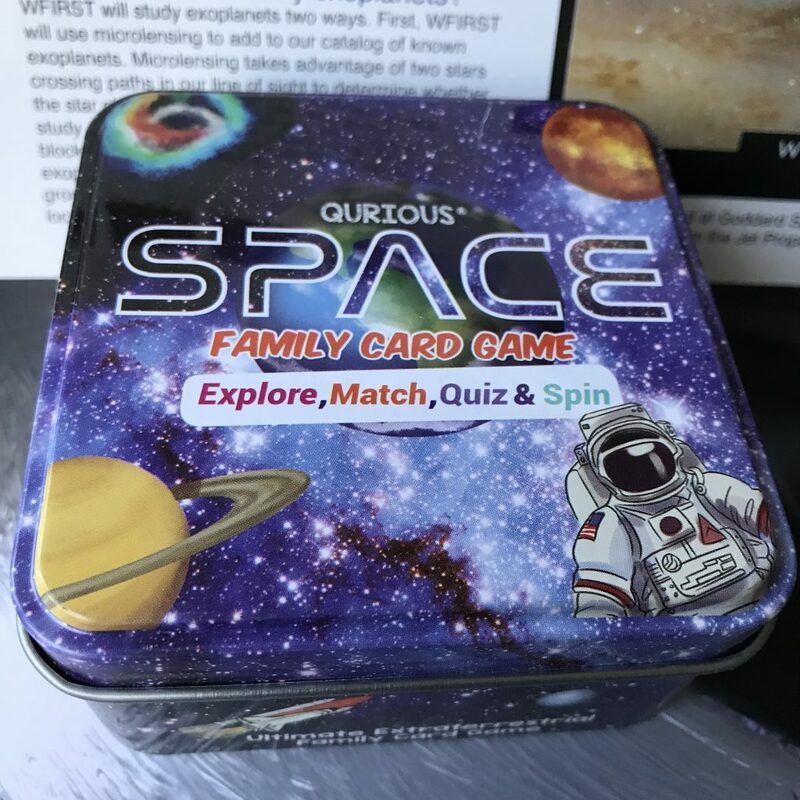 This is the perfect gift for space fans. Learn about NASA, Black Holes, the Solar System, the Milky Way galaxy, and so much more. 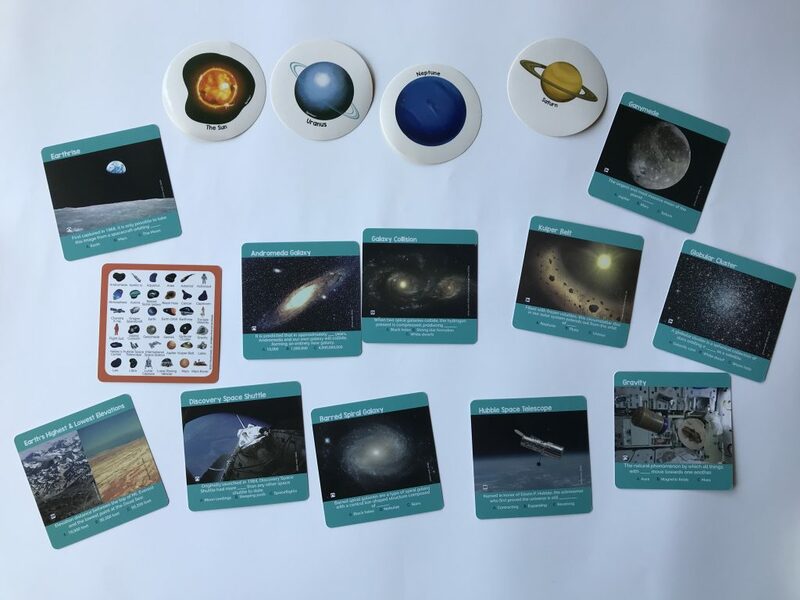 This card game is suitable for players of all ages helps individuals to develop their memory skills to find matching symbols, learn trivia and facts about 72 different aspects of our universe. 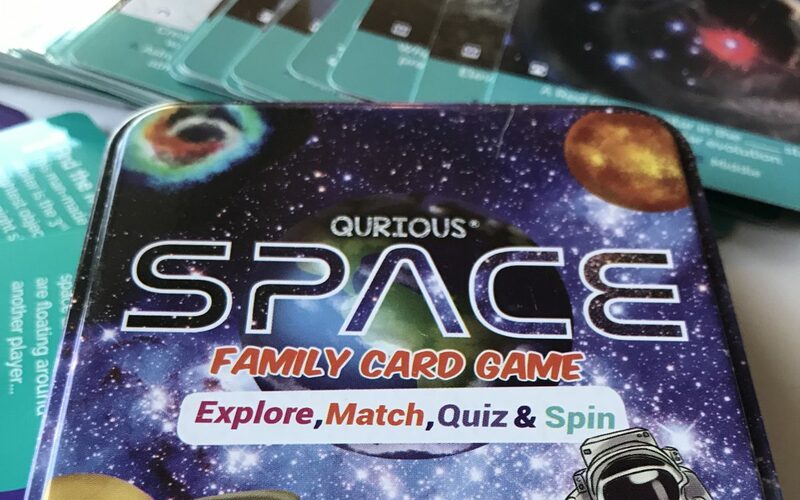 This interactive and educational card game is for the entire family. Appropriate for all levels of skill and all ages. 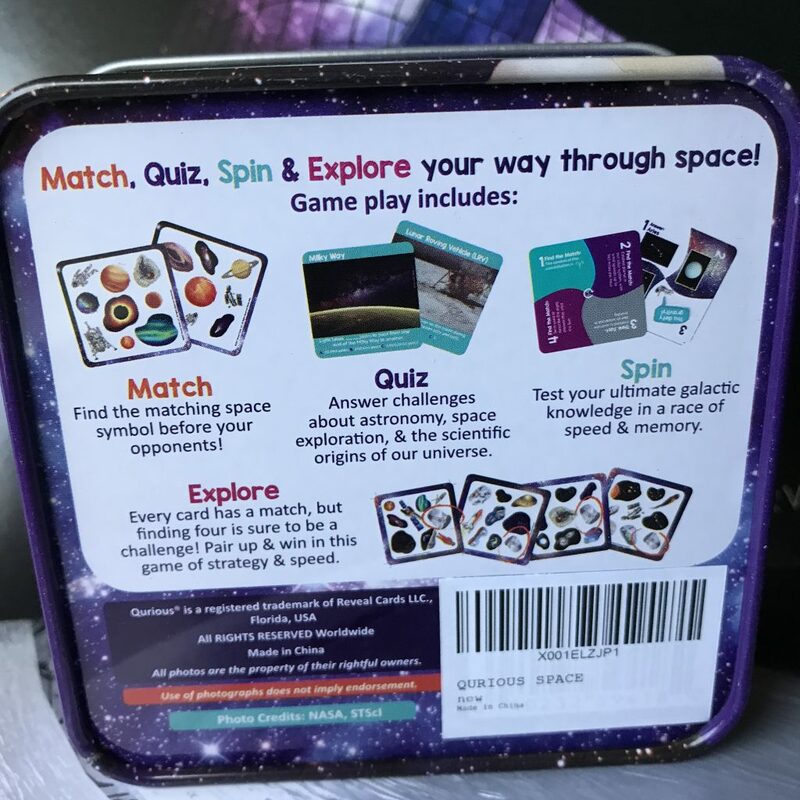 The game provides hours of fun while teaching players about outer space and the universe.